I used to struggle with lunch ideas but now the boys are older and eating what I eat, I like to sit and enjoy a proper meal with them, not just a quick sarnie. More so since trying to include more superfoods in my diet, as I mentioned in this post. 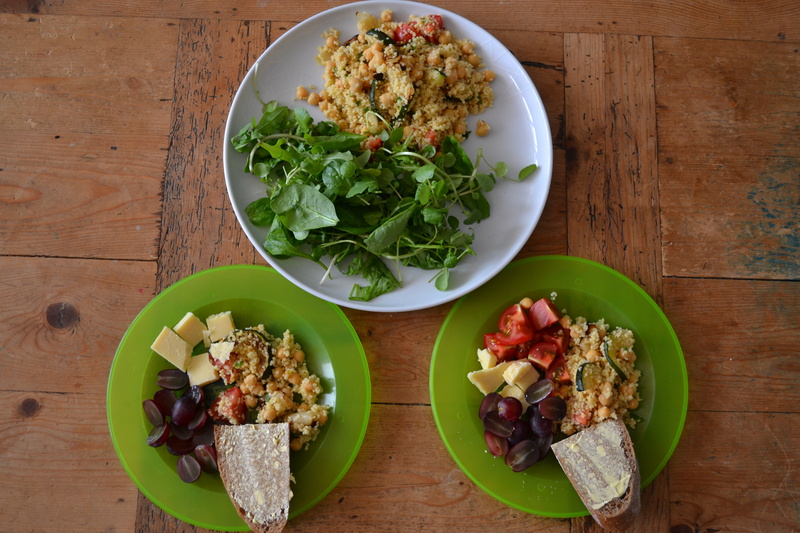 So today we had one of our storecupboard staples, roasted veg cous cous with lime and mint. I added some rye bread, cheese and grapes for the boys and accompanied mine with a big leafy watercress salad. This is also lovely with feta or goats cheese and you can add whatever veg you have in. Red peppers and aubergine also work well. You can use quinoa instead of cous cous for an extra protein hit. 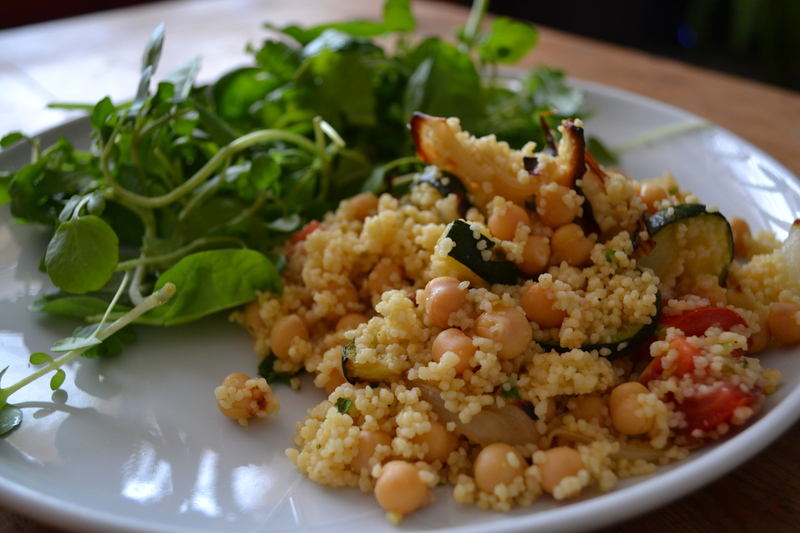 Posted in Recipes and tagged cous cous, dairy free, lunch, salad, vegan. Bookmark the permalink.